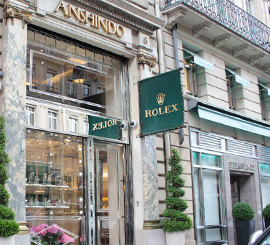 Since 1912, ANSHINDO has been one of the leading retailers of luxury watches and jewelry. Our first shop was in Japan, and now we have 8 stores among Japan, US, and France. ANSHINDO PARIS founded in 1976 in Paris, Rue de la Paix or also called “the most luxury street in the world”, and we are official distributor of the world’s leading brands such as ROLEX, HUBLOT, FRANCK MULLER, HERMES, etc… In this street “rue de la Paix” is connecting the Place Vendome to the Opera House, all the world’s leading jewelers (such as Cartier flagship store, TIFFANY, Bvlgari, Van Cleef & Arpels, etc..) have a shop there. That makes it is one of the most elegant and sophisticated street in the World. 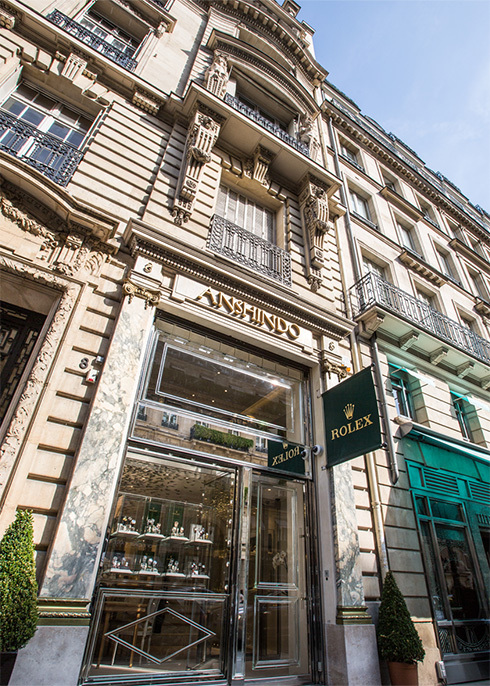 ANSHINDO PARIS is a member of “Comité Vendôme” which is formed by World well known jewelers in Place Vendome and rue de la Paix. 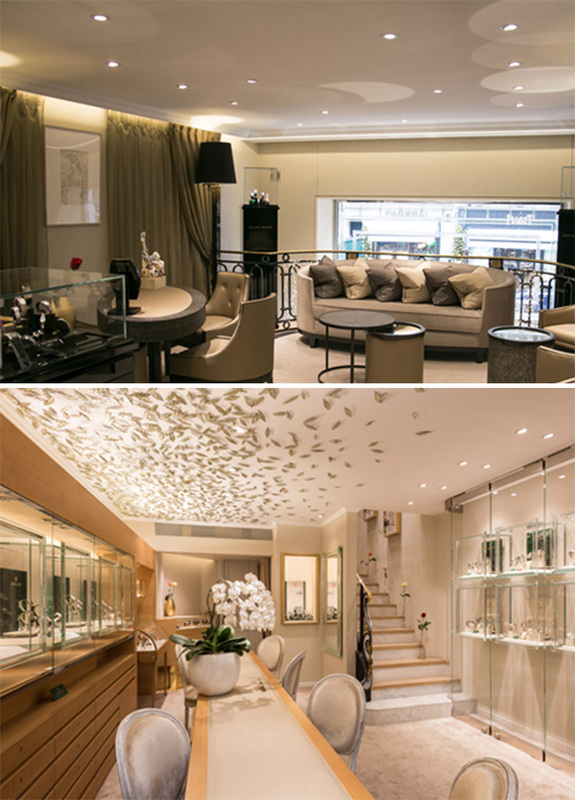 We are the only shop that combine the tradition of Japanese manners and the elegance of Parisian style. We are here to welcome you with the best Japanese hospitality named “Omotenashi”. 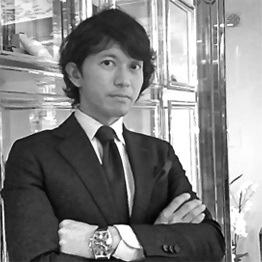 PROFESSIONAL Our company is the one and only boutique that has kept the tradition of Japanese manners and the elegance of Parisian style. People from all around the world come to Paris, and we are here to welcome you with the best Japanese hospitality named “Omotenashi”. Creating a connection between Japan, France and the World is our personal goal. 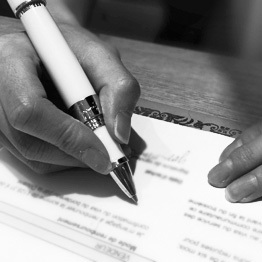 TAX REFUND If you are visiting France for less than 6 months and you’re coming from a country outside of the European Union, you can benefit a Tax Refund. 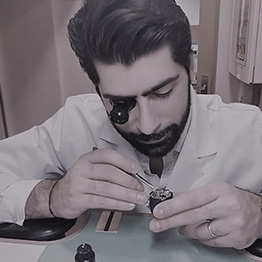 SERVICE in ANSHINDO PARIS, we have a workshop with the most skilled watchmaker, to ensure the conditions of the pieces we keep on our boutique.We count with a premium service after sale for all the brands we represent, our customers can count on us for the repair and the aftercare of their special and luxurious watches or jewelry items.